I was off to Blackpool, England for the past three weeks and I have to say, it was an inspiration! 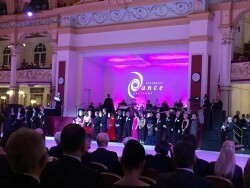 Blackpool is a big dance festival which includes Latin and Ballroom competitions, and dancers from all over the world come to compete! 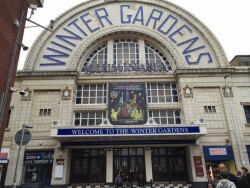 Not only was it a beautiful dance hall called The Winter Gardens, going abroad to compete is a priceless experience. The audience were so excited as it came closer and closer towards the quarter finals, semi-finals and the finals. Everyone was cheering for their favorite couple, and the dancers were dancing their hearts out and enjoying every moment they were on that dance floor. 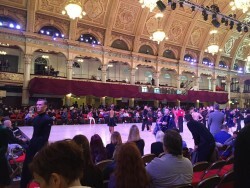 I am very thankful to be given this opportunity to compete in Blackpool, and I am definitely going to put what I learned to use and do my best towards the competitions here.